We want to create an eco-system of well-being for those family members, who are the primary caregivers to their dear ones battling chronic medical conditions or terminal illness. We are the companions for the Caregivers. Caregiver Saathi™ is an endeavour to acknowledge and support Caregivers of patients with terminal illness or chronic conditions, so that together we can improve the quality of their lives, their well-being and those that they care for. Saathi is Hindi for "companion" and we believe caregivers of terminally ill patients need a friend who understands, supports and is there for them as they walk along the difficult path of supporting their loved ones. There are many ways in which a caregiver is challenged and often the caregiver also needs care, emotional support, understanding, easy access to information, guidance from experts and wisdom from others who have similar experiences. It is our endeavour to bring it all together and make it easy access for the caregiver. Given our social narrative of caregiving, expectations from family, and the nature of caregivers, family caregivers tend to be unrecognized, unappreciated and deprioritized, even by themselves. It is our endeavour to highlight their significance and role in the wellbeing and healing of the patient (care-receiver). We partner with doctors, health practitioners, employers and well-wishers of caregivers to build a supportive community for the caregivers. We are currently looking at the cities of Mumbai, NCR and Bengaluru to create an impact before we expand to other cities. Reach out to at least 1000 caregivers and curate meaningful ways of creating wellbeing and healing, for them. Create awareness among our society regarding the role, challenge and criticality of the caregiver. To do so we wish to run workshops through health institutions and organizations. Create a community of caregivers and support, understand and enable each other. Create a digital platform that enables the community and brings together the ecosystem that a caregiver needs. Collaborate with other govt and non-govt organizations in the space of healthcare, specific illnesses and support systems. Our ambition is to expand the scope in terms of geography to all over India and to integrate empathy and care in educational institutions. The logo, as a symbol for Caregiver Saathi™ has the healing leaves in the center, going through a journey from being unhealed (light and empty) to healed (vibrant and full) surrounded by a boundary and support system that creates an environment for healing. 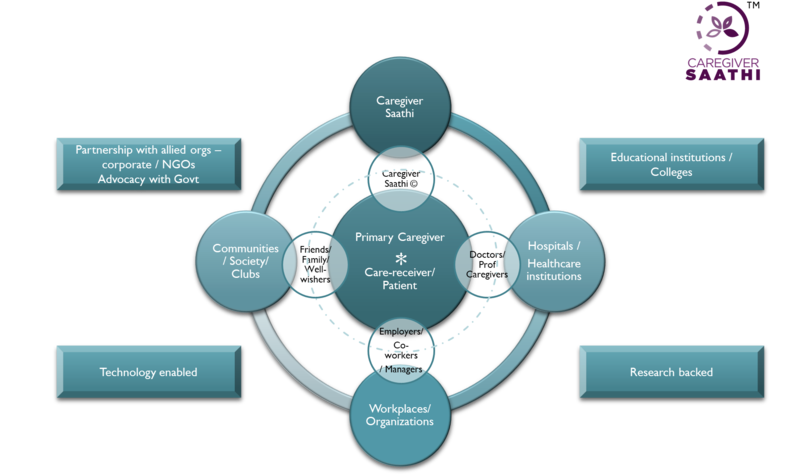 The environment for healing constitutes the systems like family/ friends, healthcare institutions/ hospitals, communities/ clubs/ support groups and Caregiver Saathi™ completes the circle of systems by being the support system for the Caregivers. The logo is in the colour of amethyst which is believed to be a healing stone. Amethyst is especially supportive of the emotional body, bringing those who are overworked, overstressed, or overwhelmed back to center. It eases the mental anxieties that lead to physical tension and headaches, and is a great crystal to calm those who tend to be hot-headed and easily angered. The symbolism of the amethyst significantly coincides with the core ethos of Caregiver Saathi™ and therefore this is the colour that best represents it. We are grateful to them for their contribution. My internship in Process work with Sumedhas Academy for Human context has significantly shaped my journey as a person. One of the meta labs, Learning Theater compelled me to think about my purpose, my dharma. A few years ago, having spent many years in a typical corporate life, I was struggling for a sense of purpose and meaning for my life. A colleague and friend mentioned to me, that it is believed that one can find ones calling if one meditates under the full moon of Buddha Purnima. That experience, a deep impact of Randy Pausch's The Last Lecture, and my explorations with Sumedhas led me to the realization that in order to live my purpose, I may need to pursue more than one passion. So, I decided to listen to my heart, pursue my passion for motorcycle riding, build my consulting practice, set up a social venture and pursue my hobbies. In 1999, when I had lost my father to a rare neurological condition called Shy-drager Syndrome (a condition similar to Multiple Sclerosis or Parkinson's), I wanted to honour his memory by doing something in the area. In the years of his illness, internet was in its infancy and information was not easily accessible. Over time, as I tried to figure what I would like to do, I realized that increasingly, enough and more was being done for the patients of these medical conditions. However, the caregivers who are a common denominator across many similar conditions and are perhaps the most under-recognized and under-served, especially in our country. I also realized that in fact, my real life experience had been that of being a caregiver to my mother, who was the primary caregiver. My research over the last nearly 8+ years has convinced me that the wellbeing of the caregiver is pivotal to the well-being and healing of the patient. 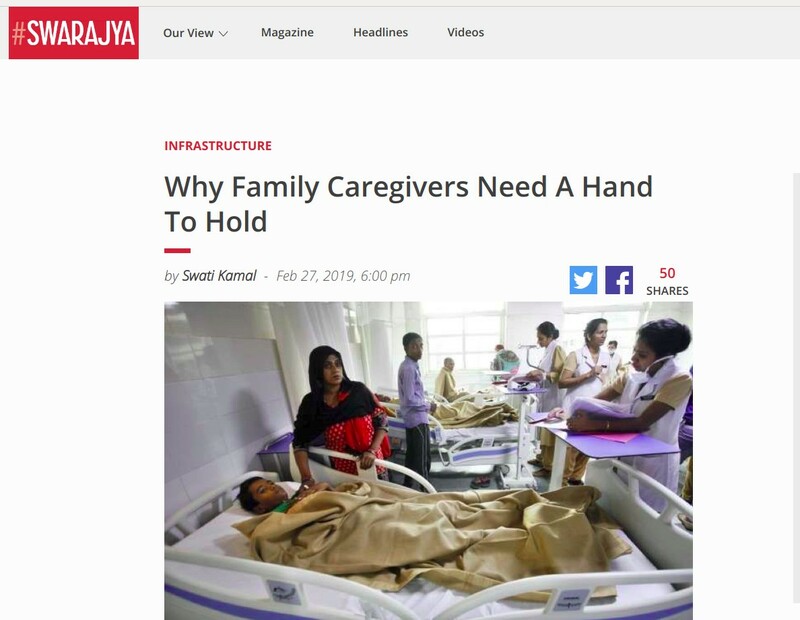 The fact that we are living in increasingly fragmenting family and community systems, especially in urban India, caregiving is becoming a ballooning challenge. At a personal level, I believe that building a sustainable organization that recognizes Caregiving will not just be my way of honouring the memory of my father, but also the legacy of my grandmother and mother who have been exceptional caregivers to many. This mission calls out to me as my dharma, my purpose. Bhavana is a passionate person with diverse interests. 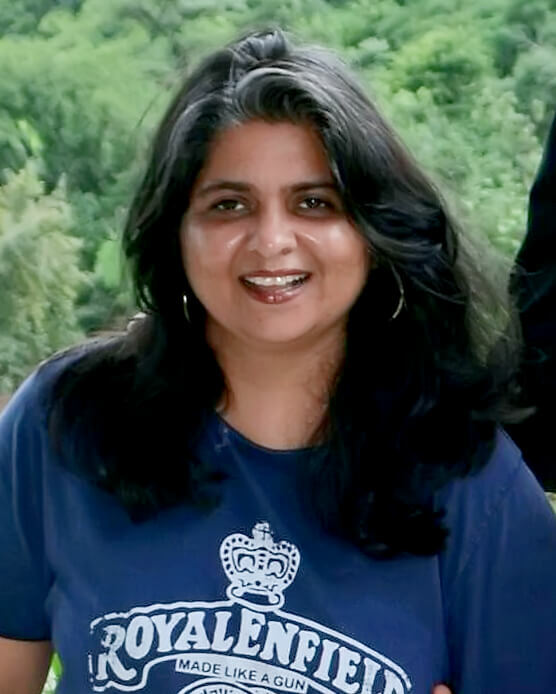 She is the Founder & CEO of a business consulting firm, Sambhaavna (www.sambhaavna.com), and a social venture Caregiver Saathi™ (www.caregiver.co.in). First Global Ambassador, Global Moto Adventures (www.globalmotoadv.com), a platform that supports women motorcyclists to achieve their dreams. Her story was featured in a book authored by bestselling author, Rashmi Bansal titled "Touch The Sky - The inspiring stories of women across India who are changing their destiny." Areas of interest include Change, transitions, Innovation, Creative expression, group dynamics, transpersonal psychology, somatic and Yoga. 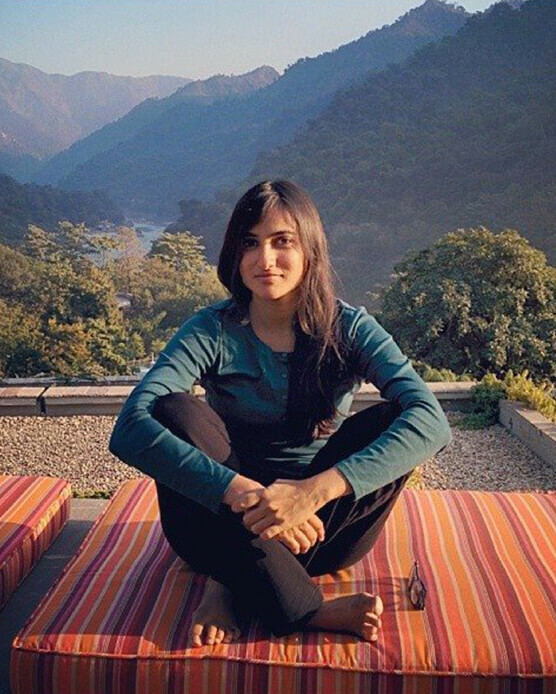 She is currently based in Mumbai with her husband, daughter and dog and enjoys traveling. Her hobbies include poetry, painting, crocheting, cooking, gardening and motorcycle riding. Being a motorcycle rider has helped her discover herself by pushing the boundaries of mind, body and soul and creating new possibilities, something she passionately lives by. 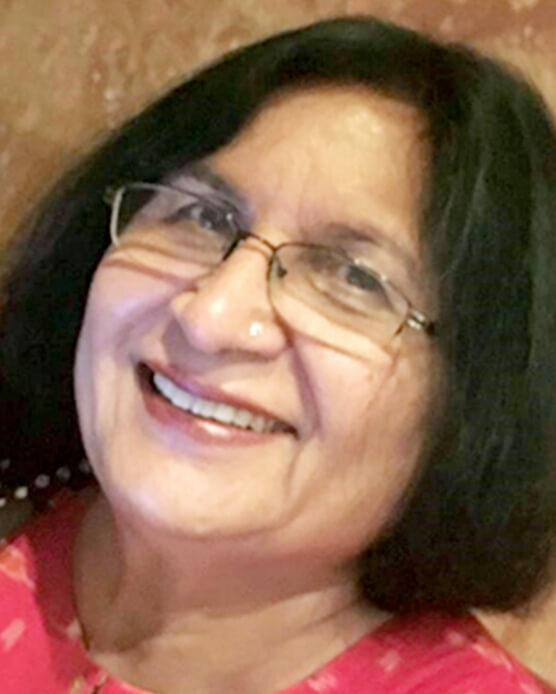 Ashu Issar, a postgraduate in Botany, married an Indian Air Force Officer in the early 70s. Marriage and two children couldn't dampen her quest for knowledge and learning. 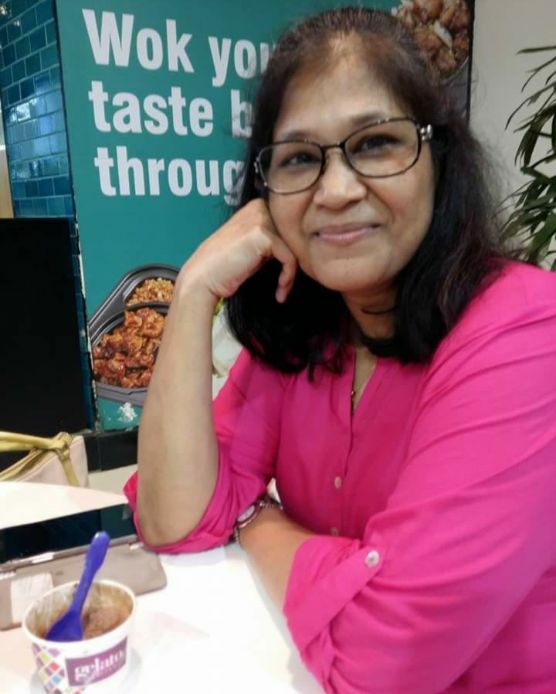 Proving the cliché that learning is a lifelong process did her Bachelor's in Education after a gap of seven years and found her mission and passion among adolescents with in the school system for 32 years. 16 years later, she completed a Diploma in Journalism to add professional expertise to her passion for the school publication. 32 years of teaching experience convinced her that a bond founded on trust catalyses learning as well as caring. 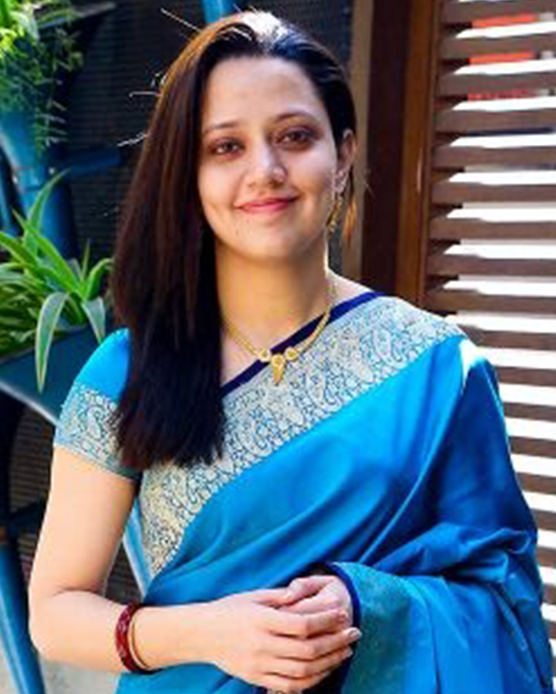 Four years later she gave another twist to her career and started her journey of process work with Indian Society of Applied Behavioural Science (ISABS). 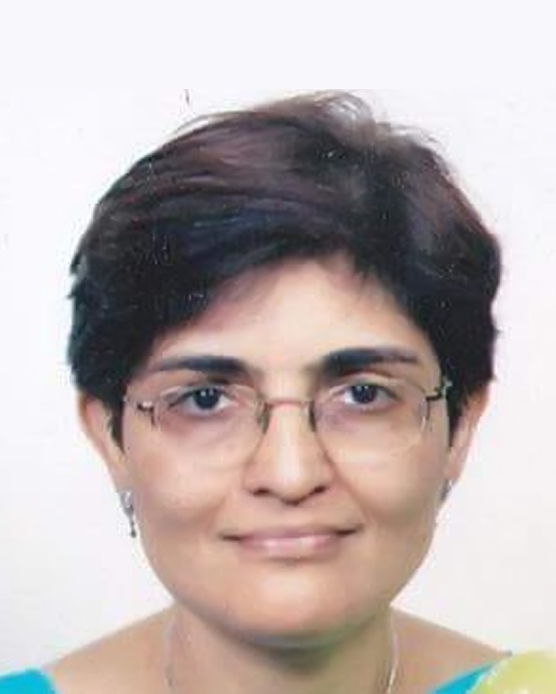 As a professional member of ISABS, she has facilitated many human process labs with corporates, social and education sectors like BHEL, MDI Gurugram, IIHMR Jaipur, EMPI and social organizations like CINNI, Aklavya and Bare Foot Academy. As both of these are helping professions, it has given her deep insights into human behaviour and their emotional needs. 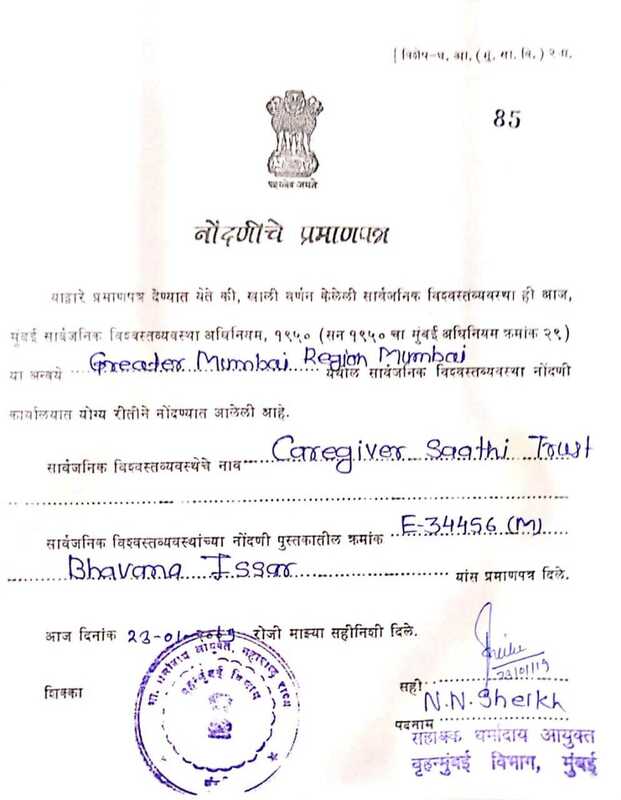 A diligent and the primary caregiver of many family members from early adolescent years, she has practical experience of dealing with bedbound terminal patients and their caregivers. The crux of caring for a patient is compassion and patience for the patient, as well as often-neglected caregiver, hence the birth of the Caregiver Saathi™. Aneesh provides leadership to a variety of activities with Caregiver Saathi™ to help conceptualize and execute on the road-map to scale this venture. He has worked in a number of early and growth stage firms as well as in intrapreneurial roles at larger organizations. His last corporate assignment was at Datamatics, setting up and heading the research and consulting BU, a space he has worked in for over 12 years across a diverse set of responsibilities from operational delivery excellence to driving growth initiatives. Having worked with a variety of companies such as Johnson & Johnson, adidas, ICICI Lombard and Aranca, he has over 18 years of diverse experience. Passionate about new experiences, he likes travel, meeting new people and procrastinates on writing a book. After completing his Bachelor of Engineering (Mechanical} from Birla Vishwakarma Mahavidyalaya College of Engineering, V.V. Nagar Gujarat, he went on to earn his MBA from IIM, Lucknow. 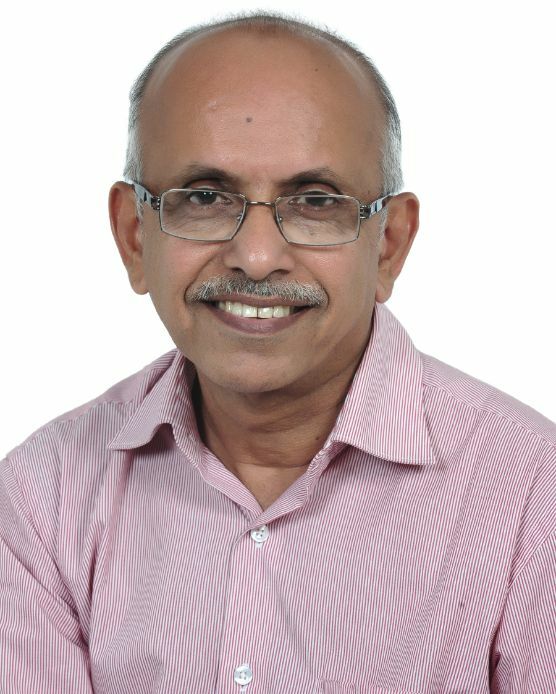 Dr Rajagopal is the director of the WHO Collaborating Center at Trivandrum, Kerala for Policy and Training on Access to Pain Relief, and the founder-chairman of "Pallium India". His initiatives to remove regulatory barriers in availability of oral morphine for pain relief have contributed significantly to the recent Amendment of the NDPS Act of India in 2014. His initiative has also contributed to the development of a Government policy on Palliative Care in the state of Kerala in 2008 and Government of India's National Palliative Care Strategy in 2012. In 2014, Human Rights Watch honored him with Alison Des Forges award for "Extraordinary activism in promoting the notion that denial of pain relief is a violation of human rights". 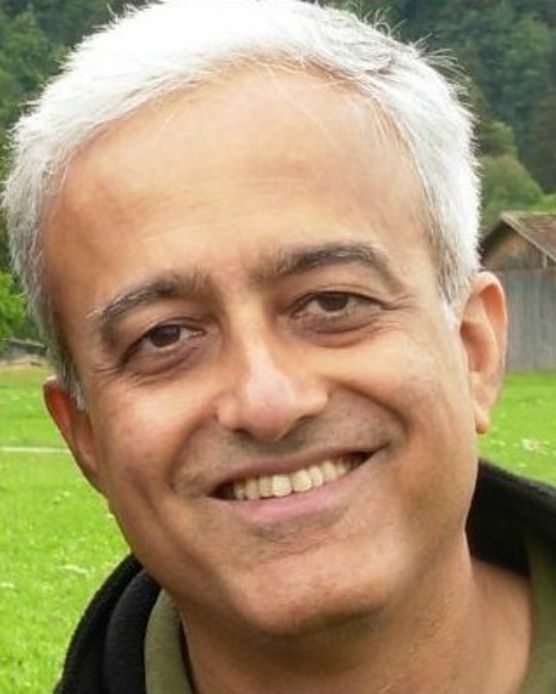 In 2017, a documentary film titled "Hippocratic: 18 experiments in gently shaking the world" based on Dr. Rajagopal's contributions to palliative care was released by Moonshine Agency, Australia (http://hippocraticfilm.com/). In 2017, he was named one of the 30 most influential leaders in hospice and palliative medicine by American Academy of Hospice and Palliative Medicine (AAHPM). In 2018, Dr Rajagopal was honored with Padma Shri, the third highest civilian award given annually from Republic of India. Prof. Rajiv Sarin is the Director of Advanced Centre for Treatment Research and Education in Cancer (ACTREC), Tata Memorial Centre, Mumbai. He is In-Charge of the Cancer Genetics Unit & Professor of Radiation Oncology at the Tata Memorial Centre. Trained in Clinical Oncology & Radiation Oncology at The Royal Marsden Hospital & Tata Memorial Hospital, he has over 2 decades of experience in Oncology. His research interests include Cancer Genetics, Breast cancer, Technology development & Public health. He has about 100 scientific publications pertaining to cancer management, cancer genetics and radiotherapy. He established the first Indian comprehensive Clinical & Laboratory Cancer Genetics services at the Tata Memorial Centre and leads the ICMR Centre of Advanced Research in Cancer Genetics and Genomics at ACTREC. He serves as a member of the Ethics and Pathology working groups of the International Cancer Genome Consortium (ICGC). 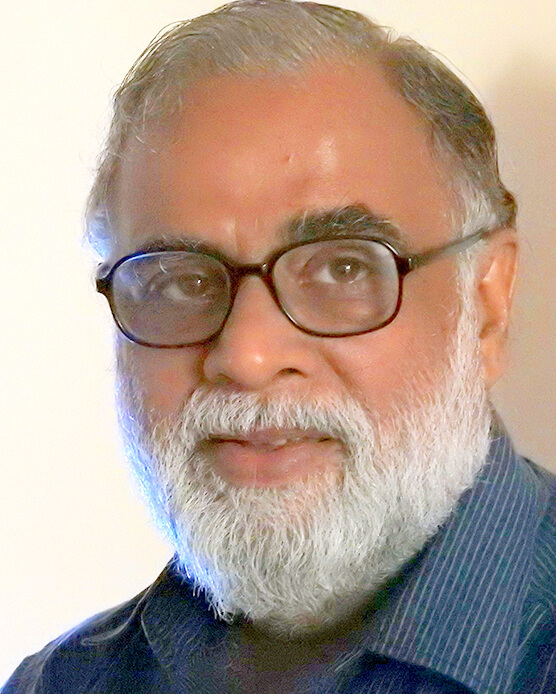 In his capacity as an expert advisor in various committees and task forces of Indian medical and scientific funding bodies like CSIR, ICMR, DBT and in various developing world forums he has contributed towards developing Cancer Control, Cancer Research and low cost technology development programmes in these regions. As the leader of one of the very few Comprehensive Cancer Research Centres in the developing world and as the executive editor of main cancer journal from the developing world - Journal of Cancer Research & Therapeutics (JCRT), he has championed the cause of open access to medical literature and public health issues such as access and cost of cancer care. 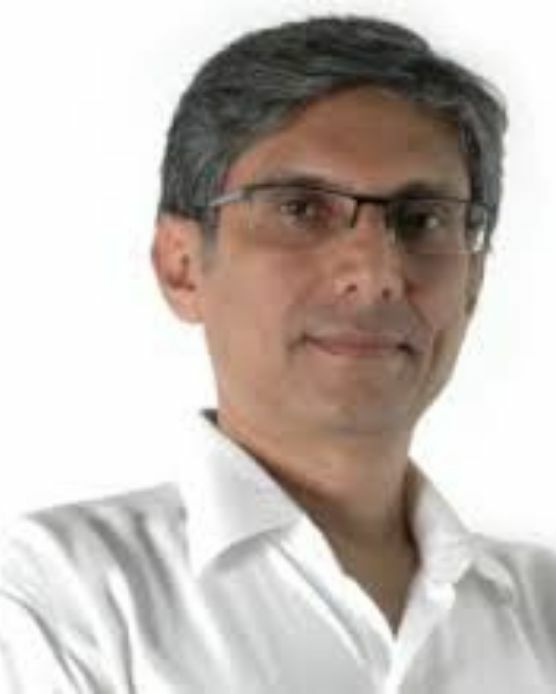 Dr Madhukar Shukla is Chairperson, Fr Arrupe Centre for Ecology & Sustainability and Professor (Strategic Management & OB) at XLRI Jamshedpur (India), and has keen research and teaching interest in the development sector and social entrepreneurship. He serves on the Board of School of Management & Labour Studies, TISS, and is a member of the Board of Governors of XLRI Jamshedpur. Madhukar is on jury for the oikos Case Competition on Social Entrepreneurship, and is also a Member, Livelihood India Advisory Group. He has been the Conference Coordinator for the National Conference on Social Entrepreneurship since 2009-2017. Madhukar holds a Masters degree in Psychology from Lucknow University and is a PhD from IIT, Kanpur. Prior to Joining XLRI in 1990, he has worked with National Productivity Council and Administrative Staff College of India, Hyderabad. He was also a visiting faculty to ESADE, Barcelona during 1993-94. Raghu has been enquiring into three questions relentlessly in his life, these are how does one become the best that one can be? How do organizations and groups become the best that they can be? What does it mean to be an Indian? This quest has led to more than a decade of intense study of Yoga with Yogaachaarya T Krishnamaachaarya and Desikachar. During this period he also had the opportunity to interact deeply with J.Krishnamurti and learn Process Work from Prof. Pulin K. Garg. 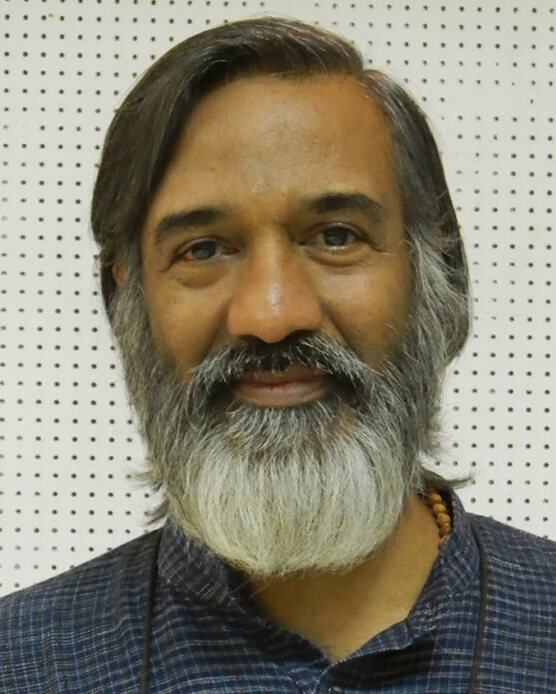 He obtained his Postgraduate Degree in Bio-Medical Engineering from IIT Madras during this time for which he studied the application of Yoga and Praanaayaama in curing back pain. He has published a very well received book "Learning Through Yoga". Raghu Ananthanarayanan has co-founded Sumedhas Academy for Human context, The Barefoot Academy for Governance and FLAME TAO Knoware (Pvt. Ltd); He serves on the board of several companies. He is now engaged in mentoring a young group of "sacred activists" called Ritambhara, as well as co-creating a platform of Yoga Teachers from the Krishnamaachaarya Tradition called "Ananta Yoga". He is also associated with YogaVahini, a training and healing centre that specializes in offering Yoga teacher training and therapist training programs. Dr. Roop Gursahani is currently a Consultant Neurologist and Epileptologist at the P.D.Hinduja National Hospital, Mumbai. He passed his MBBS (1981) and MD (1984) from the Government Medical College, Nagpur; DM in Neurology in 1988 from GMC and JJ, Mumbai. He was Head of the Department of Neurology at Nair Hospital and T.N.Medical College from 1991 to 1994 and Honorary Assoc Prof in Neurology at Grant Medical College & Sir JJ Hospital 1998-2012. In addition to Clinical Neurology, his main interest is in Epilepsy and EEG. He is associated with the Epilepsy Clinic on the Lifeline Express. He is a founder trustee of FINE (Forum for Indian Neurology Education) which organizes teaching courses in Neurology. He is on the steering committee of ELICIT, the interdisciplinary task force of intensivists, palliative care physicians and neurologists for End of Life Care in India. Our advisory board is a team of deeply empathetic and accomplished individuals who are passionate about social impact and the cause of caregiving. They have been pioneers in their areas of expertise which range across medicine, palliative care, yoga therapy, social innovation, behavioural science, process work, research, design, business strategy, organization development, besides being caregivers or carers of caregivers themselves. Apoorva Gupta Jalan is the founder of In.Breath, and has been studying and teaching yoga, facilitating healing and personal journeys for individuals for over a decade now. Her journey has been one of tremendous growth and personal transformation, and she has found these practices and philosophies to be an empowering source steering her health, inner growth and evolution. She has trained extensively as a Yoga Acharya and Yoga Vaidya (Therapist) in the tradition of Sri.Krishnamacarya. She is also a Reiki Master and a Breathwork Therapist. In her work, she brings together passion, conviction, and experience, offering the ancient wisdom and tools of Yoga in today's language and context. She is particularly passionate about the power of working with the breath to deal with physical and mental/emotional aspects of our lives. Over the years, Apoorva has done a wide range of work- from taking personalized classes, to taking large group classes in schools, colleges and corporates all over India, to conducting workshops and talks both in India and abroad. As she herself puts it, she is willing to be anywhere to support others in bringing these practices into their lives. Gaurav Suri provides leadership to the marketing and communication functions along with BIU & Digital Eco System for the UTI Asset Management Company Ltd. He is a member of the AMFI financial literacy committee and leading communication development on "MF Sahi hai " campaign. His previous assignment was as Director Marketing and Product Development, Metlife. 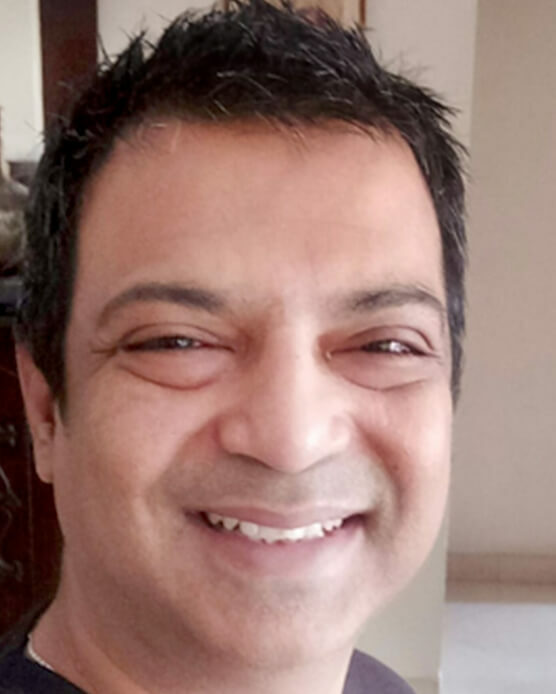 Having worked with a variety of companies such as FMCG Majors (Britannia Industries Limited-Danone group and Perfetti Van Melle} and the Insurance industry, he has over 23 years of diverse experience. 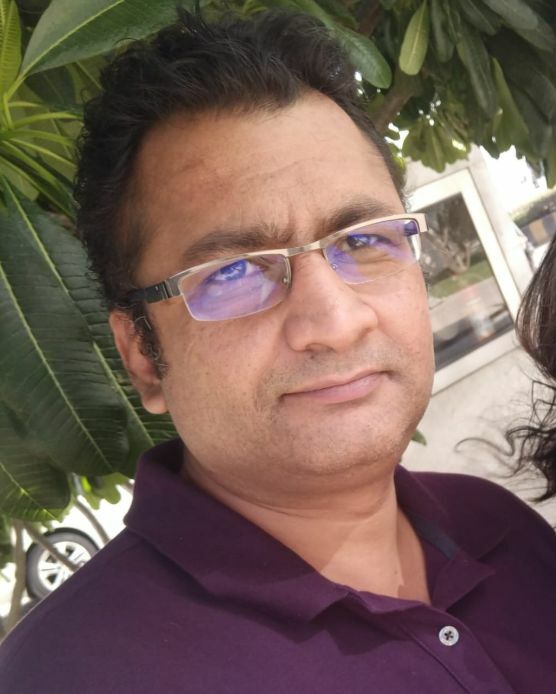 After completing his Bachelor of Engineering (Mechanical} from Regional Engineering College, Bhopal he went on to earn his MBA from XLRI, Jamshedpur. "Cure sometimes, relieve often, comfort always! "- a quote by Hippocrates, I really relate to! Even though, most of us in the medical profession strive towards this, we often ignore the care-givers of our patients. As a practicing paediatrician initially and now as a Pediatric Hemato-Oncologist, I have personally seen and experienced the amount of stress, pressure, anxiety and mental turmoil the parents (and/or care-givers) have about their children afflicted by life-limiting illness. Through the platform of Caregiver Saathi™, I hope to touch more lives and ensure good quality of life, not only for the patients directly but also to the caregivers who in most situations get ignored. Mustafa has worked in both Corporate and Social sectors for over 30 years. He has worked in social organisations at the field and board levels. He has promoted micro-livelihoods in poor communities. He has promoted poultry farming and organising village level families into clusters and federations and creating viable enterprises owned by them. He continues his association with the social sector by being on the Boards of a couple of NGOs and acts as advisor and consultant to a couple more. In industry, he has gained experience as a Trainer and an Organisational Development Consultant. He focusses on HR strategy and policy, structuring and culture building. He has run profit centre operations in India and UK. He headed businesses in Consulting and Recruitment. He has set up from scratch operations for these units. 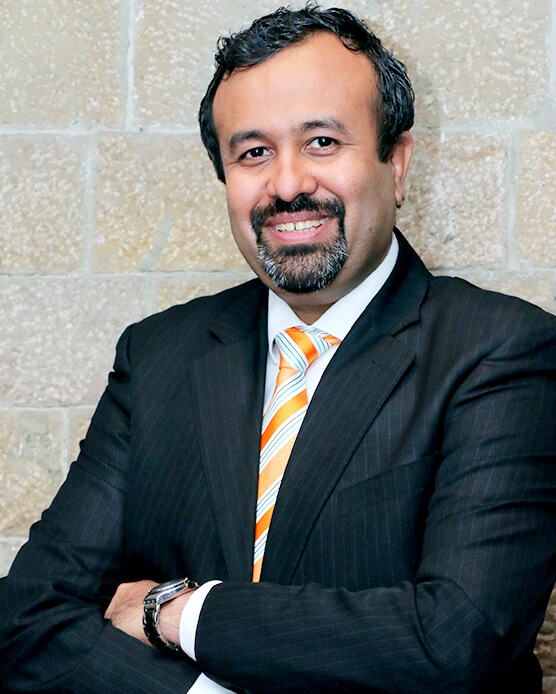 He has worked in the following organisations so far – Bradma, Modi Xerox, Pradan, Ma Foi and Innobridge. He is a fellow of Sumedhas, a society for human context. He has a post-graduate diploma from XLRI, Jamshedpur. 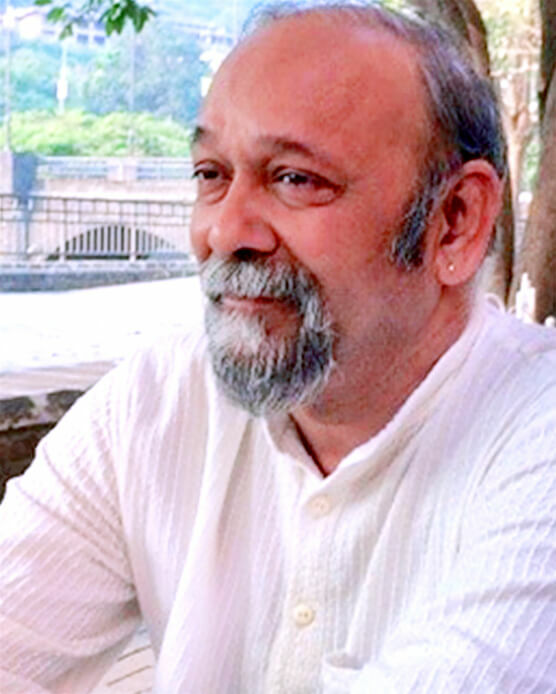 Roop Sen is a researcher and facilitator, who is a founding member of a non profit organisation Sanjog (www.sanjogindia.org), and also consults with organisations and governments (www.changemantras.in). He specialises in the intersectional space of migration, youth and violence and has worked in India, Bangladesh and Nepal. Roop has anchored 9 researches on human trafficking that studied causalities and vulnerabilities, response mechanisms and its effectiveness and systems of criminal justice and social welfare in addressing survivors and the vulnerable populations. He is a member of the Central Advisory Committee on Human Trafficking, and standing committees and the Interministerial Committee that has drafted a new law on human trafficking in India. 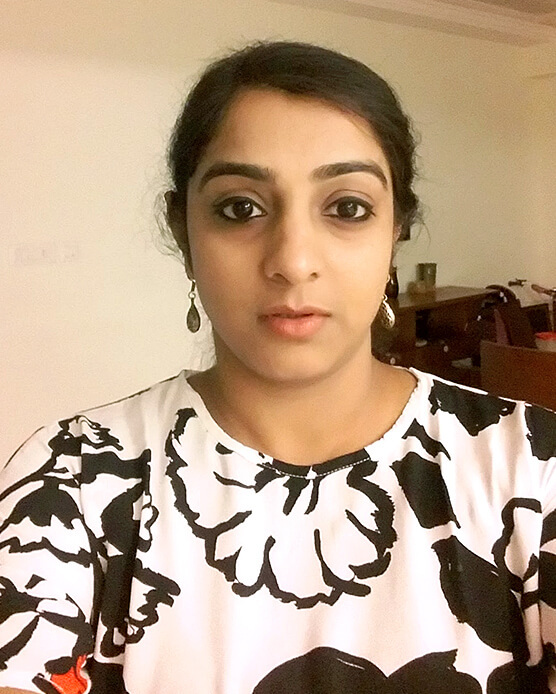 Sangeetha has a special interest in group counselling and has over 10 years been conducting personal growth and interpersonal process groups. She is also passionate about training and mentoring trainee psychologists. A gynaecologist by profession. Dr Shefali Pandey is also a regression therapist and a rekindle healer. Her focus in life is to offer holistic health care to clients and community. “Your life does not get better by chance. It gets better by change” perfectly mirrors Nandita’s mission to be part of a social enterprise. She has been a recruitment professional for more than 20 yrs, specializing in leadership hiring for the finance function. However, an urge to be part of the socially conscious community led her to seek different avenues to contribute. Nandita’s focus is on sharing her knowledge and experiences with others to motivate and inspire them. She is a person with lot of energy and enthusiasm along with willingness to learn and experiment new things. Nandita has degree in Home Science from SNDT University. She loves to travel and is inspired by women who are forgoing the trodden path to have a greater impact on society at large. How you see yourself and your role has a huge bearing on the kind of support you offer your loved one. What TYPE of a Caregiver are YOU? Each one of us is different and so our caregiving styles, approaches and therefore journeys are unique. Wellbeing of the Caregiver is pivotal for the wellbeing and healing of the patient/ care-receciver/ caree.